They embed a Youtube video with an interview they did with Jonathan Klick into their post … I am embedding it here too. They also link to an article “Assessment of the Potential for Cross-contamination of Food Products by Reusable Shopping Bags” Food Protection Trends, vol. 31, no. 8, pp. 508-513, August 2011 b David L. Williams, Charles P. Gerba, Sherri Maxwell, Ryan G. Sinclair. Alas, as is common, the article is not freely available, which is ironic in that it is being used to try to shape a public decision on whether or not to ban plastic bags. 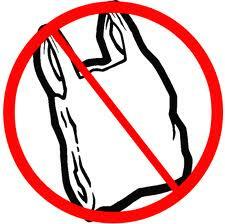 There has been a running debate/discussion about the recent efforts to ban plastic bags in various jurisdictions. It has been a big topic of debate even in my local community – small town Davis, CA. Less here than meets the eye. Almost all food that goes into shopping bags is either pre-packaged or if produce, bagged by user in thin plastic bags before it goes into shopping cart. Only problem is shrinkwrapped packages of meat that frequently leak blood. Add the same plastic bag dispensers found in produce at the meat counters and that’s almost the whole problem solved. It’s possible to make either the bags either completely washable or coat the inside with an impermeable surface that can be cleaned with ordinary cleansing agents used to clean kitchen counters. There is no reason, of course, to suspect a blog that calls itself “free market environmentalism blog” of having a greenwashing agenda. Try reading the Klick’s published “study” rather than watching the interview. If you have trouble tracking it down on the usual science journal data bases it is because it was published in the U Texas Law Review. The study is a mess and does not even make the case that SF experienced an increase in deaths or ER visits from GI pathogens, let alone the case that there was an association with the bag ban. I’m looking forward to so real statasticians expose Klick for the fraud he is.